If you’ve lived in New York City for a while, you’re probably used to seeing some of the same strangers again and again. “Bus lady with the Whole Foods tote,” “Sweatpants guy who always buys Diet Coke at CVS,” or “Dog walker with the wheelchair-bound Welsh Corgi.” It’s even weirder when you recognize these people out and about in the city — maybe at a bar or museum. Small world, you think. 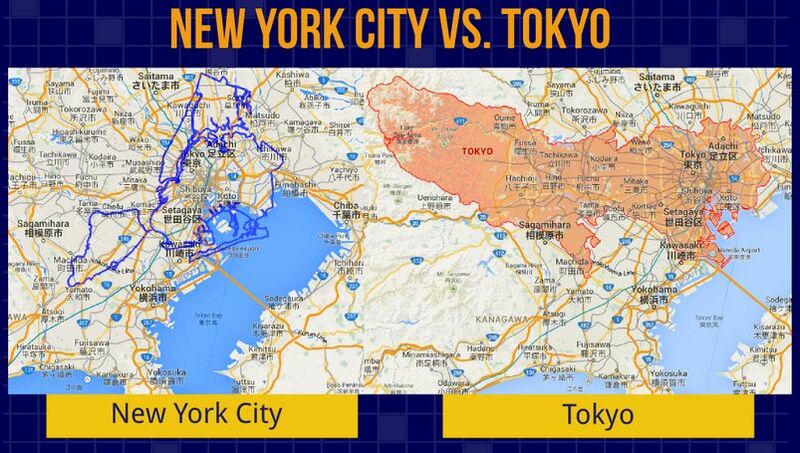 Indeed, New York City isn’t quite as large as you might have thought, especially compared to other world cities. Although the Big Apple’s population and density is staggering, the acreage pales in comparison to a number of other cities. Sparefoot.com, a self storage search site did the leg work in comparing the area of New York City to landmarks and other large cities. They used MAPfrappe, a powerful tool that it allows users to move their outlines across Google Maps, readjusting the shape and scale of the outline to compensate for Mercator projection distortions. This allows for 2-dimensional comparisons on a 3-dimensional globe. 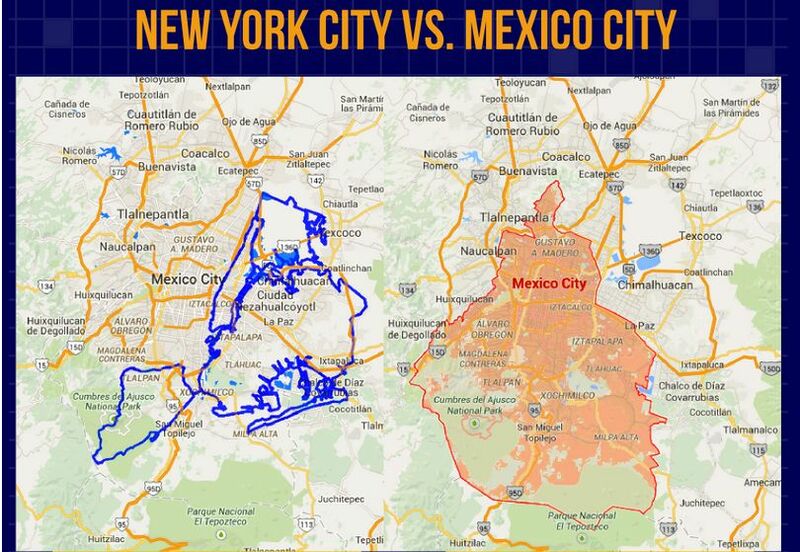 Particularly surprising was the revelation that Mexico City and Tokyo are significantly larger than New York City. 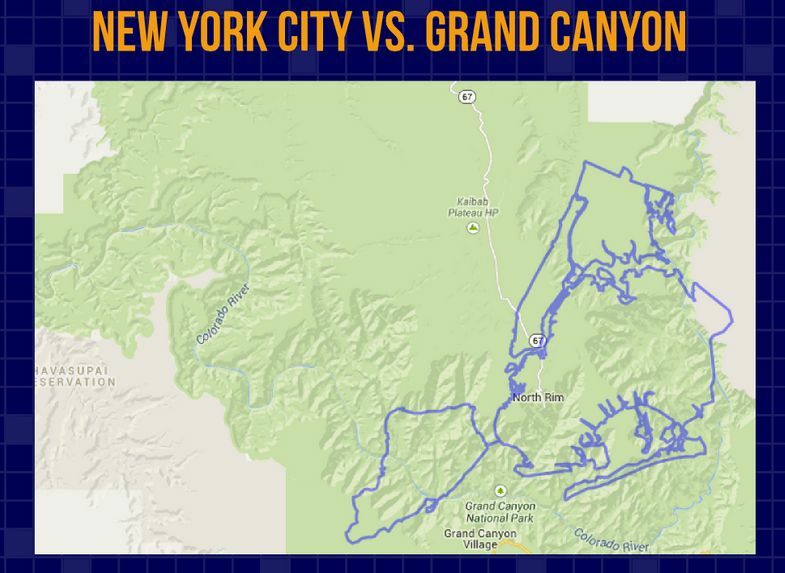 And the Grand Canyon truly lives up to its name, more than dwarfing New York City’s outline. See the full infographic at Sparefoot.